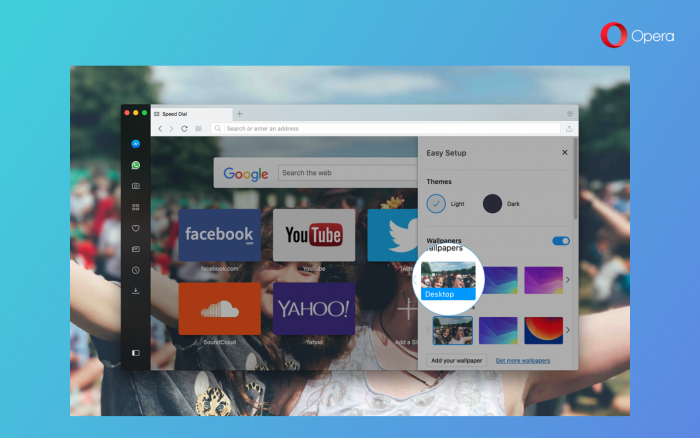 To start off this week, we have an update for Opera developer 51 with two new features. The first is a workflow improvement to quickly scroll to the top web page with just a click of the tab. Second, your active desktop wallpaper can now seamlessly blend into Opera as your start page wallpaper. 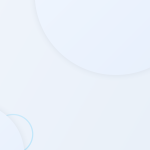 Finally, the video pop-out button received a new design. 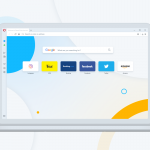 As you welcomed Opera Neon’s concept of a start page that uses your desktop wallpaper as its background with such enthusiasm, we were compelled to introduce it in our browser today. We all have read and scrolled through an endless pit of web content such as our Facebook or Twitter feeds or a busy discussion board on Reddit. These kind of pages leave us with a long climb back to the top! It’s then another long descent down to continue where we were. In today’s developer update, a simple click on the tab will return you to the top of the page, and a second click will jump back to where you were before. This boomerang-like action is handy way to quickly bounce between your current spot and the top of the page while preventing you from burning out your scroll wheel or trackpad. 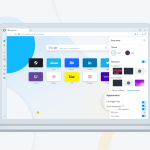 Opera has undergone some stylistic touch ups in the past year, and now the video pop-out button will receive a new look as well. You will find the new design in today’s update.